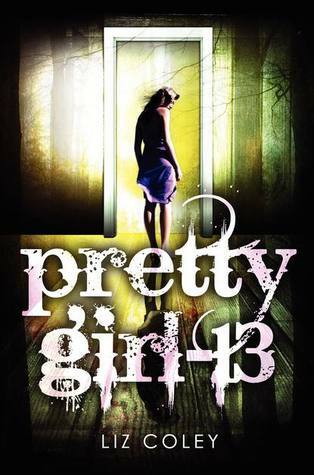 Reminiscent of the Elizabeth Smart case, Pretty Girl-13 is a disturbing and powerful psychological mystery about a girl who must piece together the story of her kidnapping and captivity. Angie Chapman was thirteen years old when she ventured into the woods alone on a Girl Scouts camping trip. Now she’s returned home…only to find that it’s three years later and she’s sixteen-or at least that’s what everyone tells her. What happened to the past three years of her life? But there are people who do—people who could tell Angie every detail of her forgotten time, if only they weren’t locked inside her mind. With a tremendous amount of courage, Angie embarks on a journey to discover the fragments of her personality, otherwise known as her “alters.” As she unearths more and more about her past, she discovers a terrifying secret and must decide: When you remember things you wish you could forget, do you destroy the parts of yourself that are responsible? Liz Coley’s alarming and fascinating psychological mystery is a disturbing-and ultimately empowering-page-turner about accepting our whole selves, and the healing power of courage, hope, and love. Thank you HarperTeen for letting me have the chance to read and review this book! No compensation was given to alter this review. Pretty Girl-13 is one heck of a ride. Psychological thrillers aren’t really my thing. I’ve always thought of them as well…weird and just creepy. However, this book was surprisingly good. While it had flaws, Pretty Girl-13 is a refreshing and unique read! Thirteen year old Angie goes on a Girl Scout camping trip in the woods. One minute she’s walking in the woods, next minute she’s walking up the road to her house. Three years later. Angie, lost in confusion finds the fact that she is actually now 16 hard to believe as she felt as if just yesterday, she was packing her bag to Girl Scout camp. It turns out she has Multiple Personality Disorder. As Angie uncovers the shocking facts towards her abrupt disappearance, she endeavours through, meeting her ‘alts’ different personalities that helped her through her lost 3 years. We dive into the story quickly, I really appreciate that as synopsis already gave us a run down on what happened. Angie is a really different girl to what I normally come by. Even though she had other personalities that were welded by her ‘alters’ Angie was quite average..but different at the same time. (…) okay this ain’t working. Let me paint you guys a picture (not literally. That would be nasty) A girl goes to high school, does the same things from everyone else, but has something special about her, nothing too outstanding but she is empathetic, impulsive and likeable. Now, imagine this girl as our pretty girl-13, Angie the protagonist. From what I have written down in my notes when reading this book, I have detected something I wrote down 4 times unintentionally. ‘Lacks depth, couldn’t feel any strong attachments to the characters’ I really hate it when books lack depth. This one was a minor one, when the story began, everything moved too quickly, I couldn’t quite keep up or have some ‘text-self’ relation. The story line of Pretty Girl-13 is beyond what I expected. It was rather hard to grasp at first, but as the story progressed, I liked it more and more! Pretty Girl-13 is a cannot be missed psychological mystery that keeps you on the edge of the seat the entire time. It could have been dusted up with the depth, but other than that, I really enjoyed this! Totally recommend to seekers of something new! Really Can’t wait to read this one!!! Great Review!